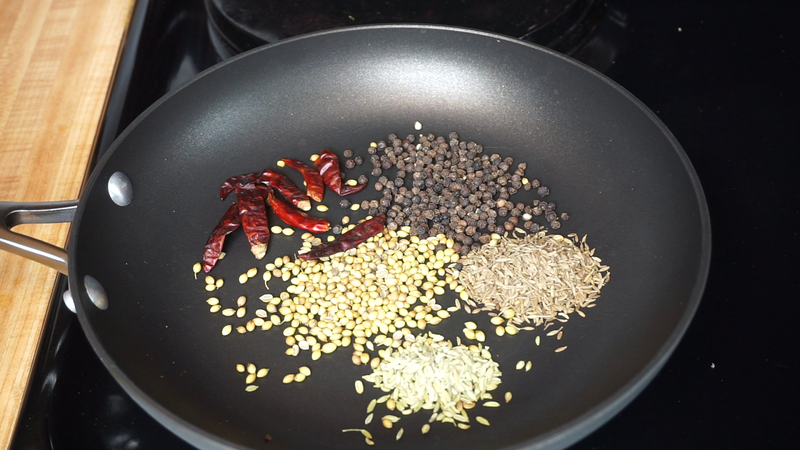 Step 1) To make Chettinad masala dry roast Kashmiri chilies separately.Then in the same pan roast coriander seeds, cumin seeds, Fennel seeds, pepper corns and dry red chilies.The reason why we are roasting separately is because the kashmiri chilies are larger in size and all other ingredients are much smaller compared to it. The seeds might easily get burnt so to avoid burning we are roasting them separately. 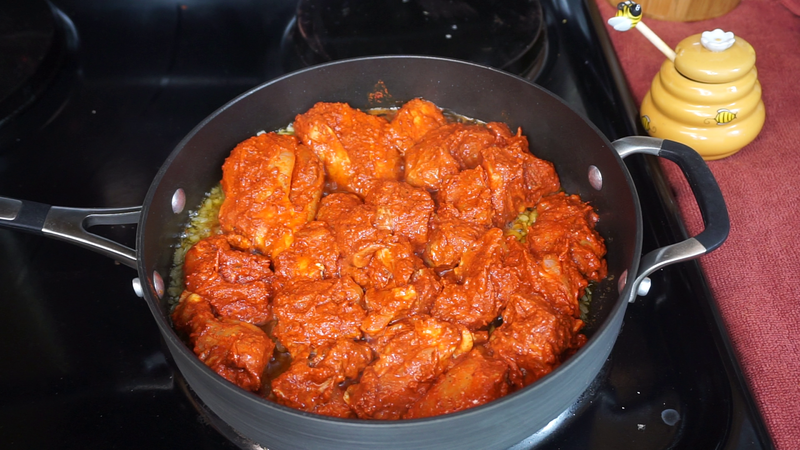 Step 5) It may take around 15 - 20 minutes (on a medium heat) depending on the size of the chicken pieces.Chicken will have a crispy texture on the outside when it is fully done.Finally add some curry leaves to give it an extra flavor and turn off the heat. 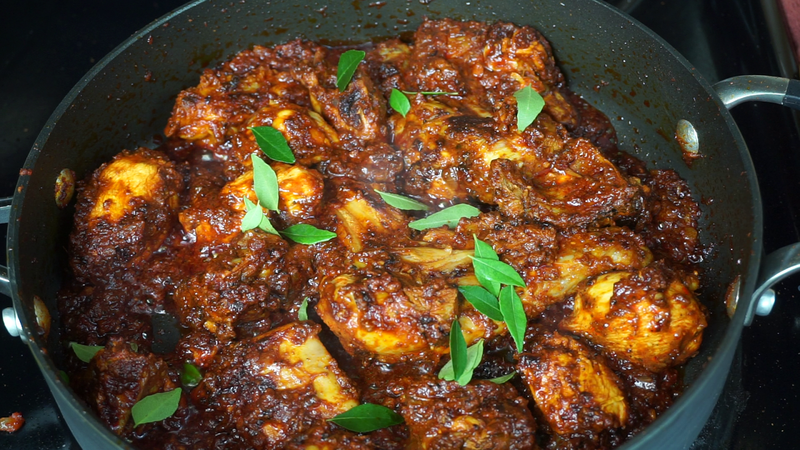 Our Yummilicious Chicken Ghee roast is ready to be served..Happy Cooking !!!! 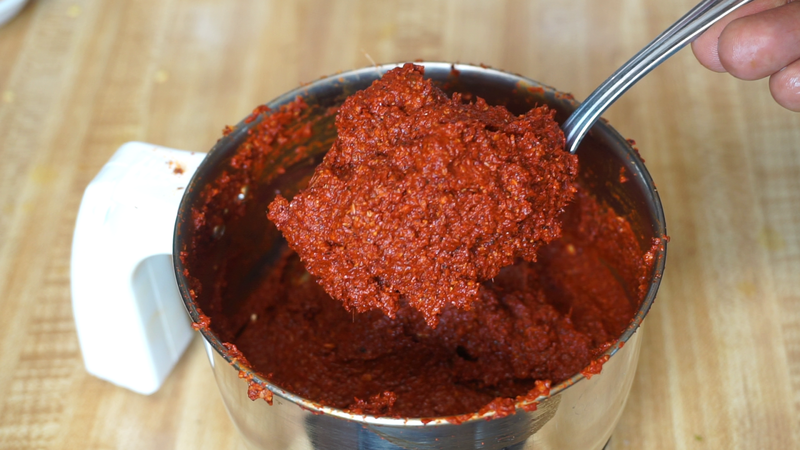 I have made this recipe twice, grinded the ingredients in a blender to make a smooth and thick paste. 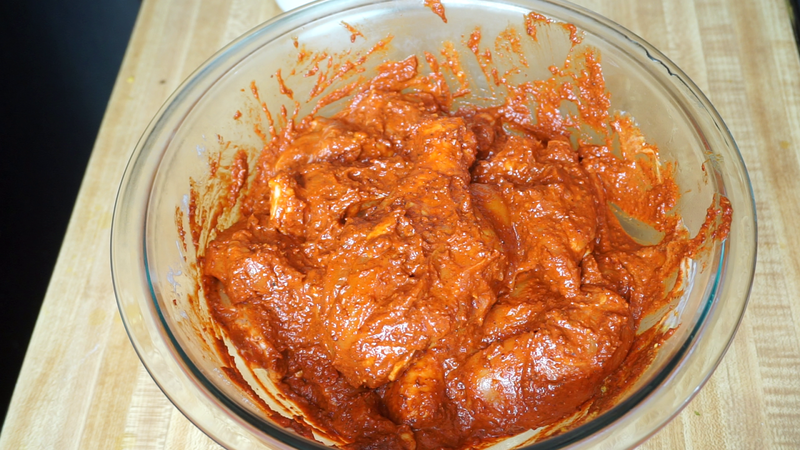 I have found that I had to add a lot of water and even olive oil to make the paste, otherwise it was way to dry. 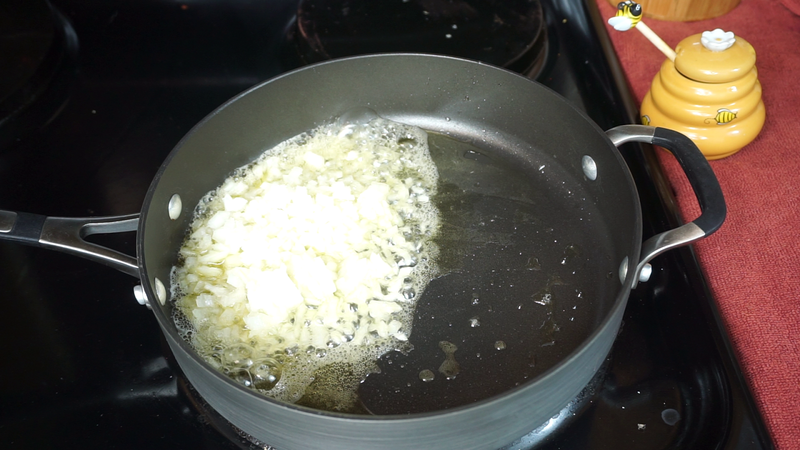 You said that you added only 2 tbs of water. As stated, I added way more than this plus the oil. Thoughts? It will be a thick paste only, I only used 2 tbsp of water while grinding.,If you are using a bigger grinder use intermittent pulses scraping the masalas from the sides of the jar towards the blades.The final product will not be a sauce like consistently but rater a smooth paste.we will be using this masala paste along with yogurt for coating and marinating..avoid excessive use of water as it will prevent the chicken from roasting properly.Thank you. All the best﻿ !! We need to use a Smaller Mixer/Grinder Jar. 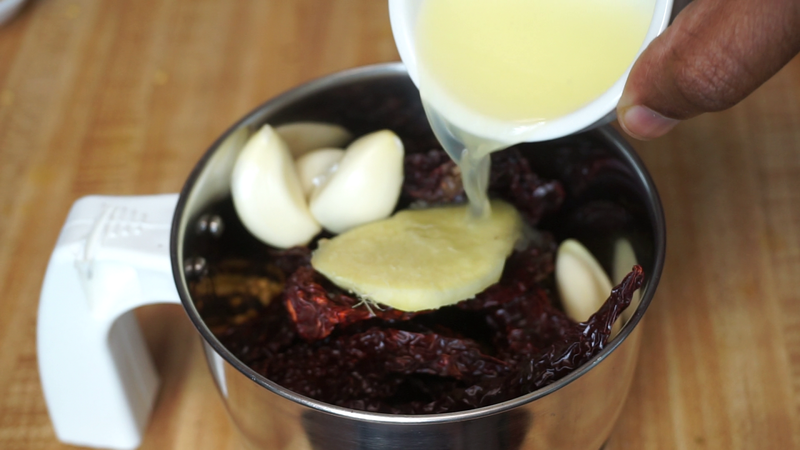 A Blender Jar is not Ideal for making a Paste from Dry and Roasted ingredients. Love your recipes , I am hooked to you chicken fry, I have cooked for company and they have loved it. Use small grinder like small blender cup of nutri bullet. Bigger blender will not work as you will have add more water. Hello.. recently i bumped into ur site... really love ur website....I am very new to cooking..
Do we have roast the chicken on medium flame? Hi I am a vegetarian and wanted to make the paneer version of ghee roast that is available in many restaurants in Mangalore... Any suggestions?? First of all I would like to Thank you very much for sharing this yummy recipe. I tried this last week on my son's fifth bday and the king of our dinner party was chicken ghee roast. All the guests loved it. I was very happy when my hubby was continously praising me for the dish. Great Recipe! Thank you for sharing :) Gonna try it this week. 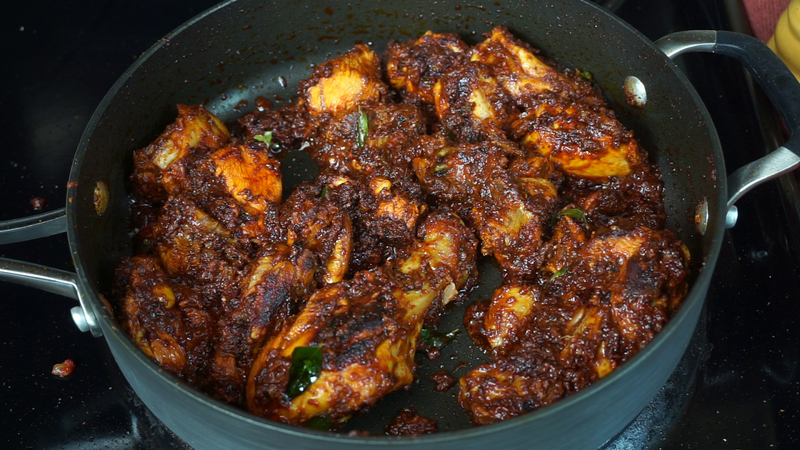 Can you tell me if Chettinad Masala can be used in any other recipes as well? Can we make this masala and store in refrigerator? Thank you so much Maria, chittinad masala is my favorite it has awesome aroma, we can use it in lot of dishes like chicken curry, prawns and even mutton.We can refrigerate the masala. I do that but My mom always roast the spices and keeps in a airtight container whenever needed she will grind some from the roasted spices and add it to the recipe, it smells more lively and smells great when ground freshly. Please share your feedback after trying the recipe. Happy Cooking. I made this for a party, for the first time, and everybody loved it!!! You can increase/decrease the spiciness to match your taste buds. Love the recipe. Hi, great recipe! We loved it! But instead of a dry dish like yours, it turned out to be gravy style. How do you manage to get it roasted and dry when the chicken leaves a lot of moisture while cooking? Would really like to get the same texture as yours. Thanks! 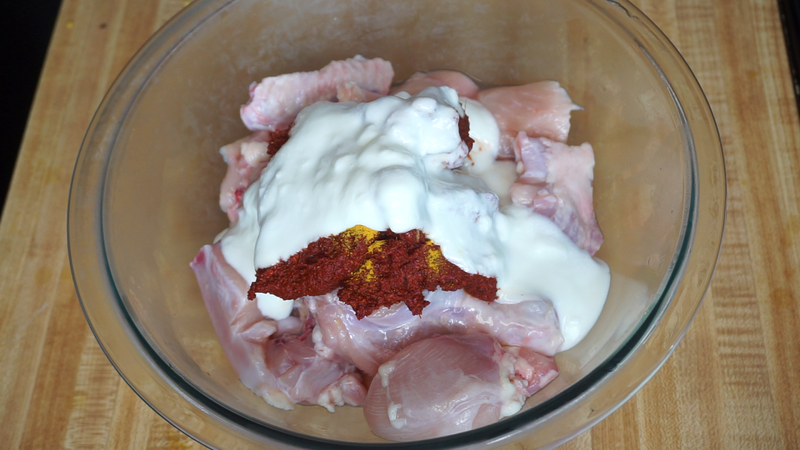 Hi we should not add more water while grinding the spices, i have used just 1.5 tbsp of of water while grinding, we need to scrape the edges and manage grinding with less water.Also after cleaning the chicken, pat it dry with a tissue paper to get rid of any excess moisture . I made this when we invited our friends for dinner. It turned out very nicely. Everyone like it. It's a simple and tasty recipe.